Supported by Culture Ireland, IFI International works with film festivals around the world to present films that celebrate new and classic Irish work. IFI International will this March, work with film festivals across the globe to present 49 films at 26. Irish filmmakers will have a presence at many of the 118 screenings with director Lenny Abrahamson, documentarian Sé Merry Doyle, and actors Hazel Doupe, Moe Dunford and Hugh O’Conor among the talent traveling to 25 cities in Europe and beyond. Highlights of this year’s collaborations include the Belgrade Irish Festival, the Irish Film Festival in Moscow and St Petersburg, the Boston Irish Film Festival, and the Irish Film Festa in Rome. 2019 also marks the 40th anniversary of diplomatic relations between Ireland and China and to mark the occasion, two Irish films, Nora Twomey’s ‘The Breadwinner’ and Carmel Winters’s ‘Float like a Butterfly’, will screen at the China Women’s Film Festival in Hong Kong. The 7th edition of the Belgrade Irish Festival will open on March 9th and will include a comprehensive selection of screenings including ‘The Little Stranger’, with director Lenny Abrahamson in attendance, Frank Berry’s ‘Michael Inside’, Nora Twomey’s ‘The Breadwinner’, Lance Daly’s ‘Black 47’, Marcus Robinson’s ‘An Engineer Imagines’ and three documentaries from Sé Merry Doyle: ‘Dreaming of the Quiet Man’, ‘Jimmy Murakami: Non Alien’ and ‘Patrick Kavanagh: No Man’s Fool’; Sé Merry Doyle will also travel to the festival to present the screenings. The Irish Film Festival Russia, which takes place in Moscow from March 13th-24th and in St Petersburg from March 15th-17th, also offers a comprehensive selection of new and recent releases including Mark O’Rowe’s ‘The Delinquent Season’, Rebecca Daly’s ‘Good Favour’, Ryan Tohill and Andrew Tohill’s ‘The Dig’, Hugh O’Conor’s ‘Metal Heart’ and Simon Fellows’s ‘Steel Country’. Rebecca Daly, Hugh O’Conor and Moe Dunford will be special guests of the festival. Elsewhere in Europe, FGM documentary ‘Jaha’s Promise’ will screen in Tirana, ‘The 34th: The Story of Marriage Equality’ will show in Nicosia, ‘The Breadwinner’ will visit Zagreb and the Sarajevo Irish Festival, ‘Metal Heart’ will take a bow at the St Patrick’s Film Festival in Luxembourg, while the Irish Film Festa in Rome will serve up a number of Irish films from March 27th-31st. North America remains a perennial hive of activity with festivals in Toronto, Montreal, Ontario, Chicago, San Francisco, New York and Seattle all taking place throughout the month. South America also finds itself on the itinerary this year as ‘Michael Inside’, ‘The Camino Voyage’ and ‘The Drummer and the Keeper’ travel to Irish Cultural Week in Porto Alegre, Brazil. Finally, closer to home, a number of events in the UK will showcase Irish film including Tyneside Cinema’s screening of Lenny Abrahamson’s ‘Adam and Paul’, and the London Irish Centre’s screenings of ‘The Camino Voyage’ and ‘Sanctuary’. 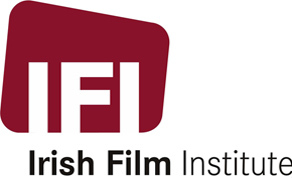 For further IFI International programme information, visit the IFI website here.